Small and midsize farms are decreasing in number, but not importance. 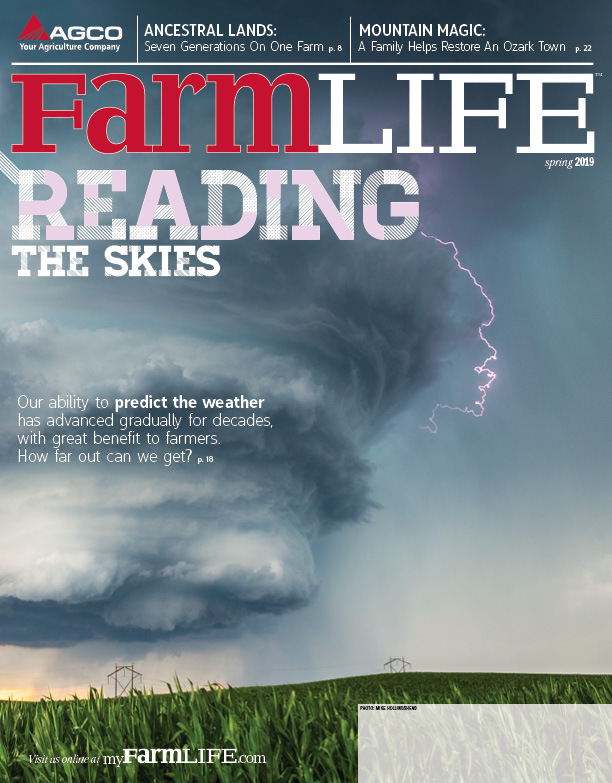 One family farmer makes the case and practices what he preaches. “There’s just one way in and one way out,” says Gary Ellis about Sweetens Cove, where his family has owned land for 100-plus years. “Even today, it’s still kind of remote down there. It’s a dead end,” he continues, with a tone that’s at once familiar and ominous. Sweetens or “Swedens” Cove, a 7-plus-mile geographic formation just west of South Pittsburg, Tenn., is walled in on three sides and nearly a fourth by the southern Appalachian Mountains. The region, which also includes corners of Alabama and Georgia, is known for hidden hollers, coves and general inaccessibility, as well as the fierce self-reliance of its inhabitants. Whether the latter were that way before they got here or realized they’d find their own dead end if they didn’t adapt is an oft-debated topic among academics and armchair historians. For the locals, though, it’s been more about survival via a grit-your-teeth independence similar to that in many rural areas of North America, especially among farmers. Yet, it’s a spirit threatened by new factors that may undo what remote terrain like that in the Appalachians and elsewhere, harsh climates, and great recessions and depressions haven’t. “The economics of the whole modern situation don’t really allow you to support yourself, strictly from a family farm,” says Ellis, who raises about 50 head of cattle and some 500 bales of hay on about 200 acres of Sweetens Cove farmland, pasture and wooded mountainside. But in an ironic turn that’s become the norm these days, it’s his “day job” as an electrical engineer that supports his work on the farm. “We have gotten to where it’s really hard to support your family and maintain the farm … in terms of how much you can produce,” says Ellis. “So I’ve had to work full-time in order to maintain everything, including a standard of living.” Ellis’ wife, Melissa, also works off the farm as a nurse, and together they have two children from previous marriages. 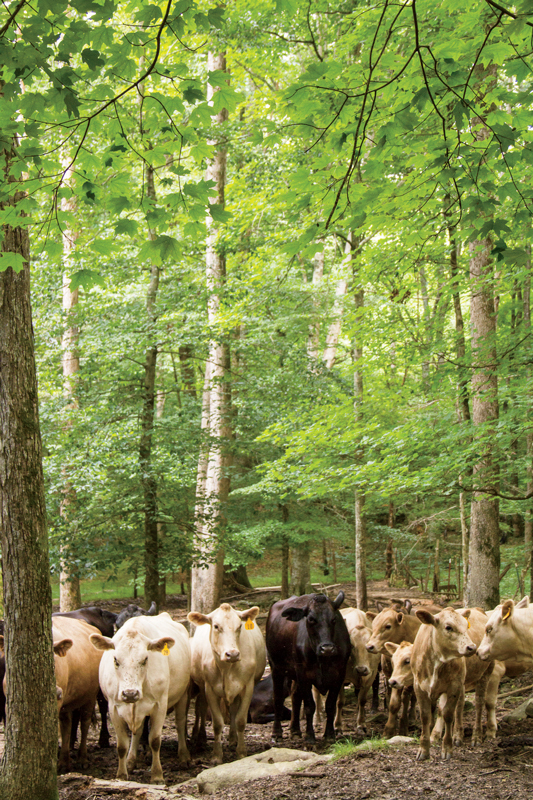 Ellis’ herd grazes pastures and wooded areas on his property. The latest census data from the U.S. and Canada backs up that assertion. In Canada, the number of farms earning less than $100,000 in gross receipts fell by about 12% from 2006 to 2011—that after a drop of 38% in the previous two decades. In the U.S., the actual number of farms in the 50- to 999-acre range fell by almost 56,000 from 2007 to 2012, a 4.7% decline. Fahy says that kind of increase is easier for large farms to absorb because of economy of scale. “They have more leverage to negotiate things like their labor and inputs compared to smaller and midsize farms,” she says. According to anecdotal evidence, the number of co-ops and direct-to-market entities, often referred to as value-based food chains, have increased in the past few years. Fred Kirschenmann, who is with Iowa State University’s Leopold Center for Sustainable Agriculture and the research group Agriculture of the Middle, backs up this assertion and says that groups like Shepherd’s Grain are not only proving to be economically viable, but are experiencing an influx of young farmers. In something of a catch-22, he doesn’t have the time because of his off-farm job, which allows him to keep the farm. According to Farm Aid, the average farm family has earned as much as 90% of its income via a source of employment other than their land. The long days are, however, worth the effort for Ellis. “It’s extremely enjoyable and relaxing to leave a city job and come home and do things on the farm,” he says. Yet, it’s more than a hobby. It’s a business that provides a product, and small and midsize farms such as his offer additional capacity to feed the world. “The interesting opportunity for more production is [farming] the small parcels of land that are not practical for the large guys to farm, or that they can’t acquire the use of for some reason. You may be able to visualize this thinking about us driving through the cove up to my farm,” he says of a narrow slice of arable land between wooded mountains.